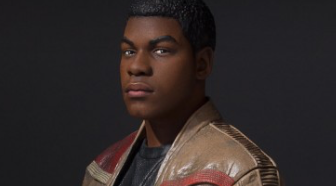 Gentle Giant has announced Finn – the latest 1:6 Scale Mini Bust from The Force Awakens. This amazingly detailed mini bust has been digitally sculpted using top of the line 3D software and prototyped using 3D Systems industrial 3D printers. The final product is hand cast in polystone, and painstakingly hand painted so that no detail is missed. Comes with numbered certificate of authenticity. 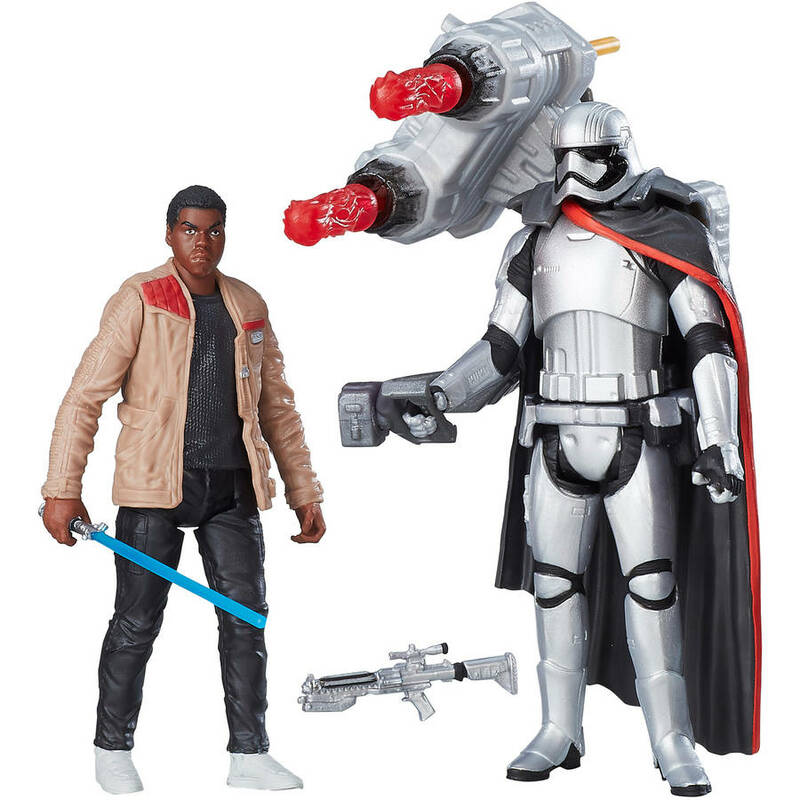 Here is a look at the Finn vs Captain Phasma 2 pk. coming soon from Hasbro. As you may recall, this set was on display at SDCC 2016 but without Phasma’s BFG accessory. Look for this to be shipped along side carry-forward packs of the Baze Malbus and Stormtrooper set in a few weeks. The Yakface Toyguide updates continue our series of additions for The Force Awakens 3-3/4″ line. 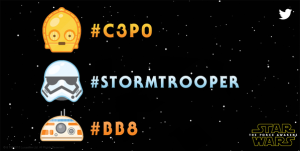 Next, we take a look at the First Order Stormtrooper from wave 2 of the Build-A-Weapon “Snow” assortment. PROS: Hasbro was wise to issue another First Order Stormtrooper in the follow up wave to the Force Friday launch. I would assume that the First Order Stormtroopers will be ubiquitous in the film so getting them out there en masse is probably a safe bet. Like the first release, the sculpt is solid, albeit limited in articulation. Regardless, a hand full of these standing behind Kylo Ren or Captain Phasma in a display will look decent in most cases. The First Order Stormtrooper only includes the standard F-11D blaster, but it can attach to the right leg (like the 6″ version) which looks far better (aesthetically) than the old holsters of previous troopers. Also for this release, Hasbro elected to change up the character art and offer a new build-a-weapon part so variation devotees, take note. CONS: Articulation is sorely missed on troopers of this sort as it appears in the trailer they’ll be seeing a lot of action. The consolation is that we’ll be getting a 3.75″ Black Series version so there’s that. The Yakface Toyguide updates continue our series of additions for The Force Awakens 3-3/4″ line. Next, we take a look at X-wing Pilot Asty from wave 2 of the Build-A-Weapon “Snow” assortment. PROS: Hasbro LOVES X-wing pilots so it’s not surprising that we get a couple right out of the TFA gate with X-wing Pilot Asty. Obviously, not much is known about the character yet, but what we do know is that Hasbro didn’t simply repurpose an existing Poe Dameron sculpt, they went all out and tooled another design from the ground up with not a part shared. The alien design is new for Star Wars, but familiar at the same time, if that makes sense. Like the other figures in this line, the sculpt is solid and the articulation is adequate enough for standing around in a Resistance mission briefing or piloting the latest T-70 X-wing. Asty includes a simple blaster pistol which can be stored in a small holster on his right hip. Surprisingly, there are a few easter eggs with this figure as well but I’ll let you read about those on the toyguide page itself. CONS: As discussed previously on the First Order Snowtrooper, the pack-in “Build-A-Weapon” accessory is kind of silly, as it is a set of skis that serves dual purpose as wings(?) that can be attached to Asty courtesy of a hole in his back. Like I said, the BAW concept extends the play of the figures but is really superfluous overall. Don’t get me wrong, the concept is sound, but maybe not necessary. The Yakface Toyguide updates resume to kick off a series of additions for The Force Awakens 3-3/4″ line. Today, we take a look at the First Order Snowtrooper from wave 2 of the Build-A-Weapon “Snow” assortment. PROS: Hasbro/Kenner has come a long way since the first 5 POA figures they released in the 90’s. Gone are the muscle bound proportions, instead we have a near-screen accurate representation of the latest snowtrooper from The Force Awakens in a more kid-centric line of products. The emphasis on “kid centric” is important as this line isn’t intended to subvert the diehard collector, but to give options in the toy aisle. Some may hate them, but again if you do, you’re probably not the audience anyway and that can’t be helped. As for the First Order Snowtrooper figure itself, the design is solid with a lot of detail in the stark white armor. Articulation is basic but the figure stands well and the ball-jointed head lends a little “attitude” when posing the head. He includes the standard issue F-11D blaster rifle (with extended stock), removable cold weather survival pack and two pieces for the “Icebreaker*” Build-A-Weapon. CONS: For me, the jury is still out on the build-a-weapon concept. Sure, it adds to the playability of the figure (depending on the part), and there’s a nostalgic Vintage Kenner Droid Factory vibe I get from the constructs you assemble, but as a collector, they don’t really scratch that itch fully and leave me cold. In short, I wouldn’t miss them if they were abruptly dropped from the line in favor of a waist joint or a $1 decrease in price.